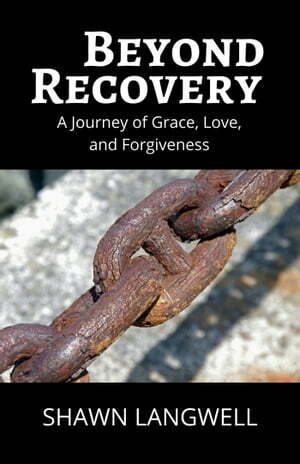 Collins Booksellers - Beyond Recovery: A Journey of Grace, Love, and Forgiveness by Shawn Langwell, 9781370069491. Buy this book online. From staggering into his first meeting for recovery, to the moment he knew another drink would kill him, Beyond Recovery offers an intimate glimpse into the life of an alcoholic. Shawn Langwell gives a front row seat to what it looks like to hit bottom, and the slow process of healing one day at a time. Through stories that start from childhood, Langwell reveals his painful journey of innocence lost as he grew up in the 1960s surrounded by drugs and free love. He shares about his hippie upbringing in the San Francisco Bay Area, the devastating moment his father abandoned his family, and his role of growing up fast and picking up the pieces. He also shares the shame and discomfort he felt as the child of an absent father, and how alcohol became his escape. In this transparent memoir, Langwell divulges his downward spiral into addiction, his decision to get sober, and the tools he used to help him handle life’s tragedies without turning to the bottle.